Southern Cone Quintet takes its name from the geographical area of the same name, embracing the countries of Uruguay, Argentina and Chile. The Southern Cone has a rich and diverse musical tradition, with genres including Tango, Cueca, and Candombe, as well as indigenous ethnic forms such as Mapuche music. It is from this rich earth that the Southern Cone Quintet draws its inspiration. The repertoire consists of re-arrangements of pieces from a wide variety of sources. From twentieth century composers like Astor Piazzolla and Violeta Parra, to traditional folk songs and ancient native chants. While the styleresembles Nuevo Tango, it could also be described as “Nueva Cueca” or “Nuevo Candombe”. The performers are as diverse as the music itself. 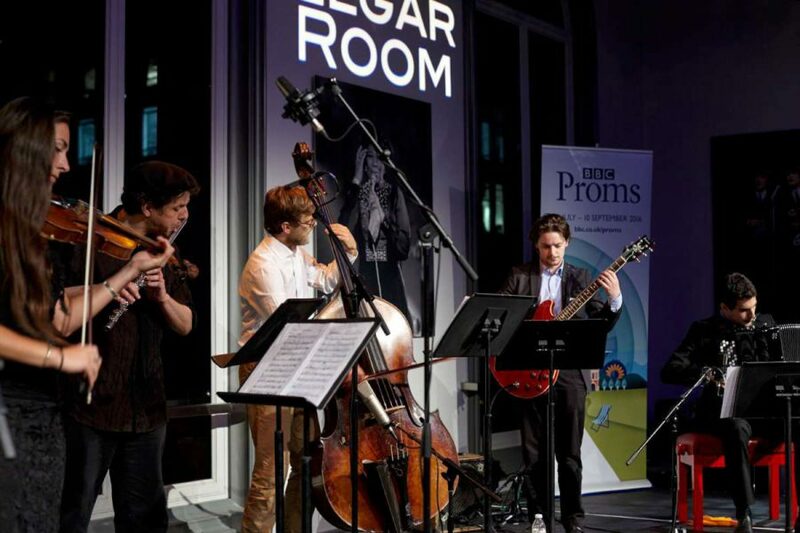 They include a Chilean-born arranger and woodwind player, a Spanish prodigy accordionist, a classical violinist of Bosnian roots, as well as a jazz guitarist and double bassist (both British).